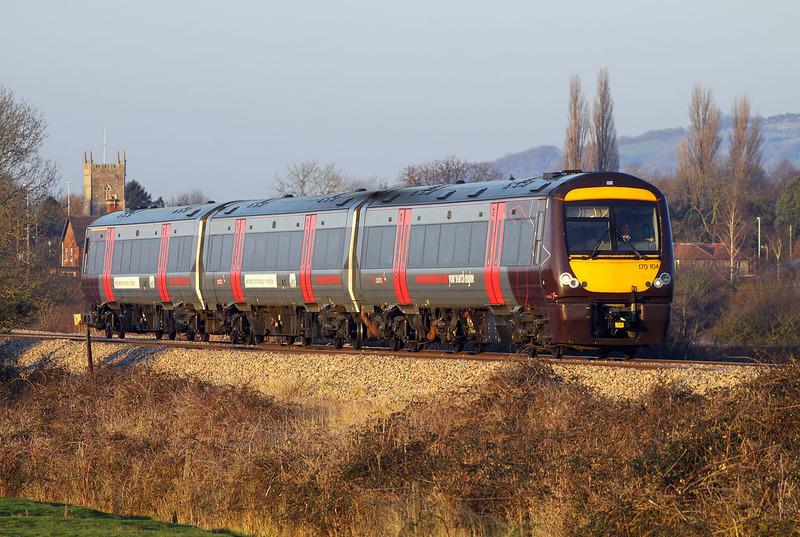 The setting sun illuminates 170104 as it scuttles past Natton on 3 February 2012 with the 1V11 14:11 Nottingham to Cardiff Central CrossCountry service. I had noticed that there was a suitable gap in the lineside bushes from this spot to fit in a two coach 170 (as on the previous CrossCountry service), so it was just fortunate that a three car unit also just fits in, although firing the shutter at the correct time was critical! Ashchurch church can be seen in the background.